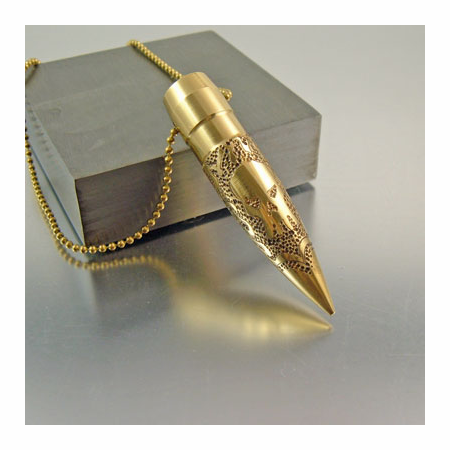 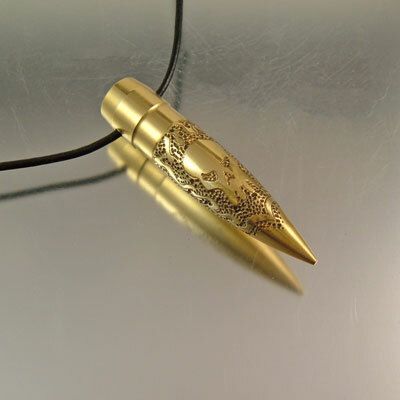 This 50 calibur bullet necklace is our flaming skull design which is free-hand drawn then carved. 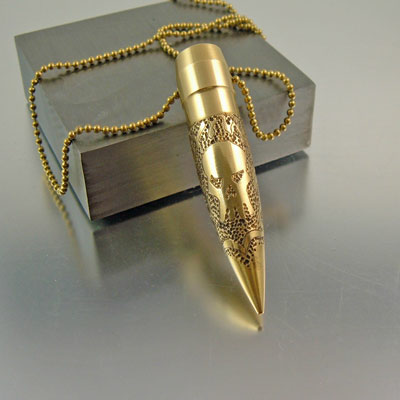 Its one of the newest designs of the .50 caliber necklace line first introduced in June 2012. 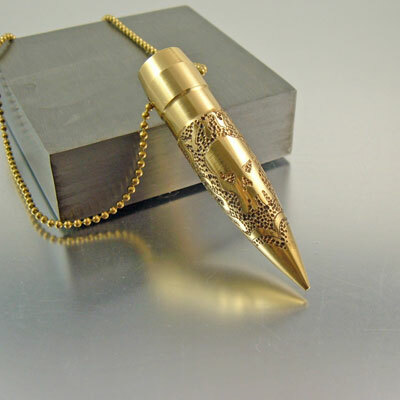 You can't find this design or concept anywhere else, its the original. 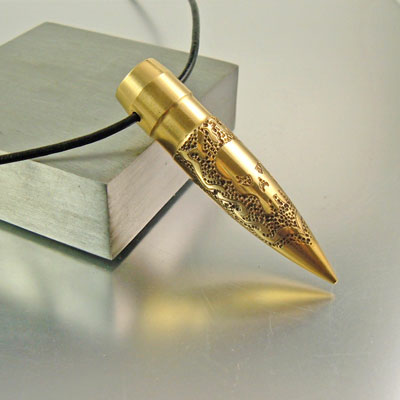 Design is individually hand drawn and carved, each will vary slightly. 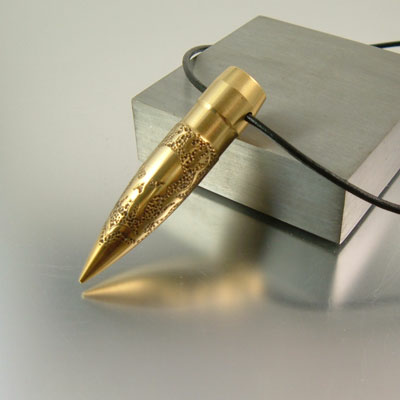 The one shown above has been sold.